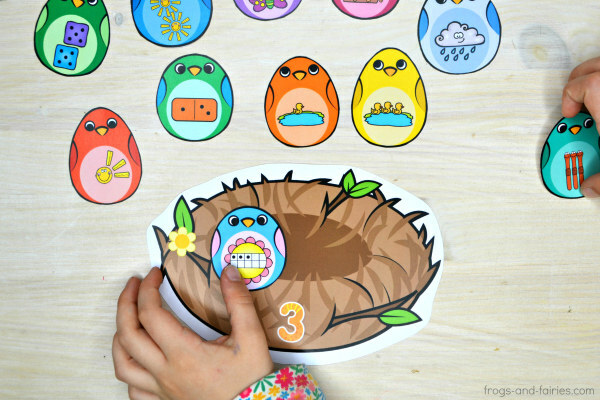 This is a great spring-summer activity to help your kids practice counting and number sense! 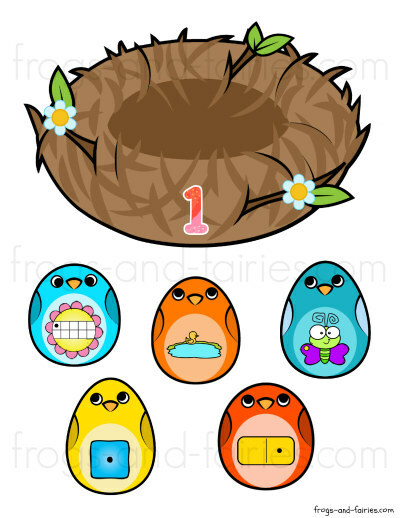 In this activity, your kids will help the adorable baby birds to return to their nest! 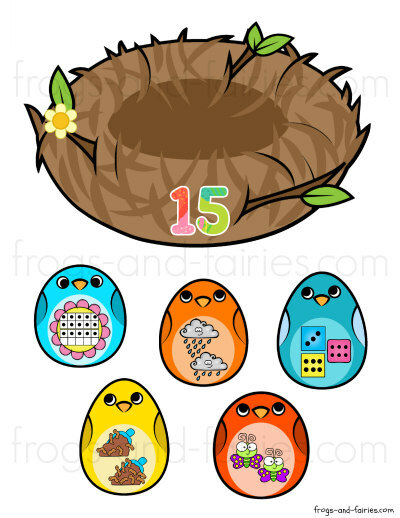 This printable PDF includes 20 pages of 20 number nests and 20×5 birds. Numbers can be represented in different ways such as pictures, tally marks, ten frames and others. This printable activity includes numbers from 1 to 20, so it’s great for kids who are just learning numbers and those who are working on double digit numbers as well. 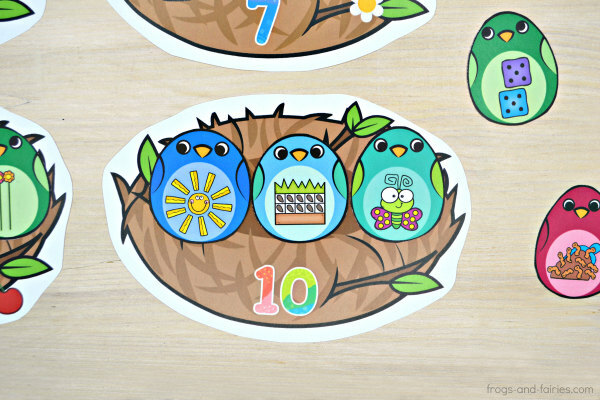 This printable number match activity features baby birds with a lot of different and colorful images, to make sure your kids stay engaged and also have a lot of fun practicing! 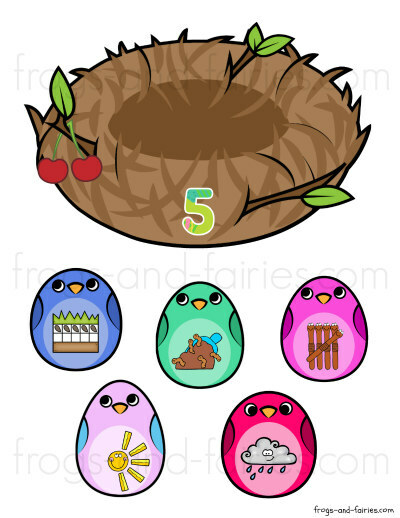 Your little learners will build the number nests by counting the seeds, raindrops, ducks in a pond, dots on a flower tens frame, flower and worm shaped tally marks and more! Consider starting out with only a few numbers at a time and when you kids can handle these numbers, add more! 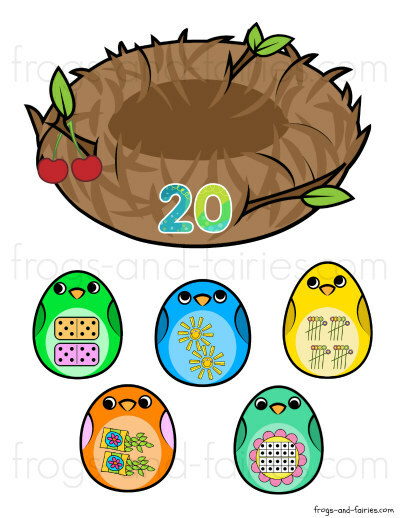 This printable PDF includes 20 pages of 20 number nests and 20 x 5 birds. 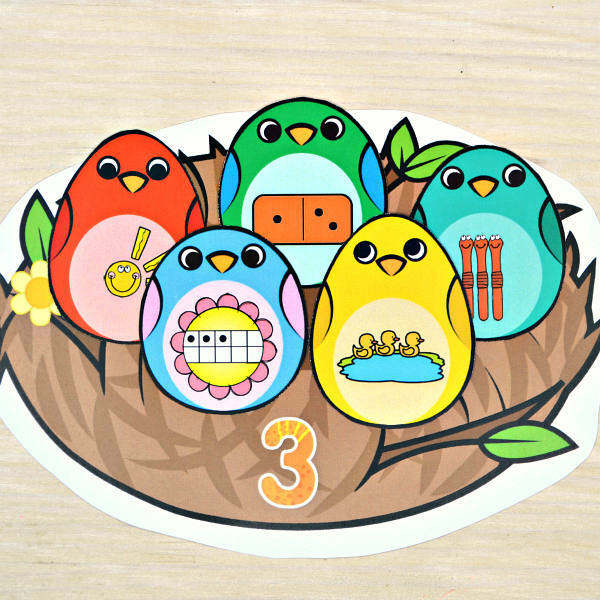 TO PLAY: Let your kids match number birds with matching nests. Have fun!